These two plants don’t look alike, maybe same genus, different species…. 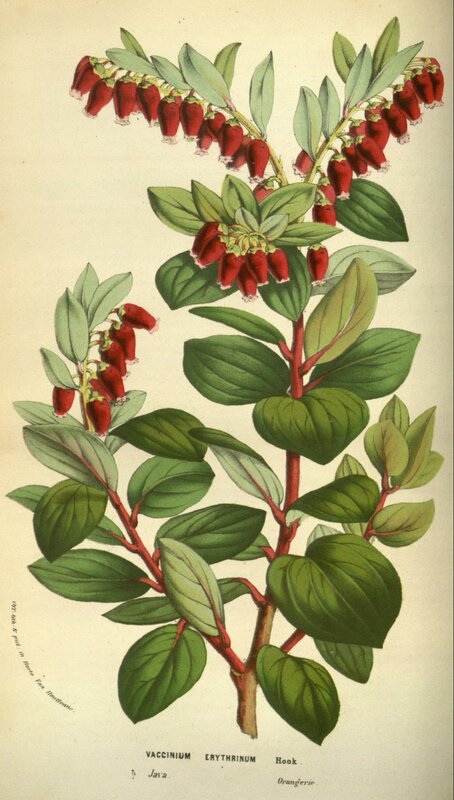 Hi, I was wondering if you have learned any more about Vaccinium erythrinum subsequent to your July 1, 2011 post. Specifically, I am hoping to find out whether it’s hardy to about zone 7 in Seattle… Thanks in advance for any assistance you can provide! We keep them at the nursery year round in Redmond, WA and they do fairly well in the winter, so definitely yes for Seattle weather. It’s a beautiful plant with not much information. I haven’t planted one in my garden yet, those plants with flashy flowers keep getting first priority!